After two years, it is clear that none of the flights of fancy imagined by our Republican friends about President Barack Obama’s fitness for office have come to pass. 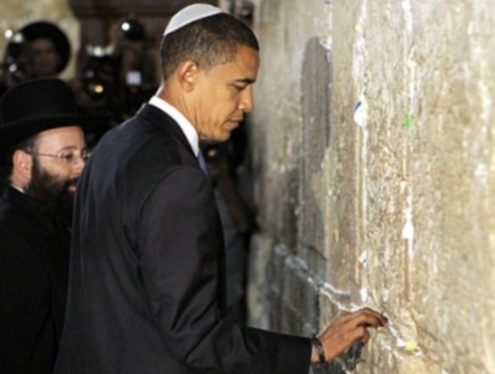 Obama’s record after two years in office is outstanding from a pro-Israel perspective. Obama has provided more security assistance to Israel than any president in history, he’s created an unprecedented level of military cooperation between the United States and Israel, and most important, he’s done more than any other president to thwart Iran’s illicit nuclear ambitions. Thanks to Obama, Iran is now further away from acquiring nuclear weapons than it was when he took office. We can disagree with Obama on specific polices or tactics, as we have with every president, but we don’t do the U.S.-Israel relationship any favors when we question Obama’s commitment to Israel for continuing American policies that have been in place for decades. The New York Times reported on January 15 that a joint American and Israeli effort to undermine Iran’s efforts to make an atomic bomb through the Stuxnet computer worm has wiped out a fifth of Iran’s nuclear centrifuges and significantly delayed Iran’s nuclear efforts. The Wall Street Journal reported on January 8 that Israel’s outgoing intelligence chief said that Iran won’t be able to build a nuclear weapon until 2015 and that many credit international sanctions that have restricted Iran’s ability to procure key raw materials. Ha’aretz reported on January 13 that in a combative exchange with an Al-Jazeera reporter in Doha, Secretary of State Hillary Clinton said that “Israel is a sovereign country and it makes its own decisions…You often make decisions based on your own experiences and history. And when the Israelis pulled out of Lebanon they got Hezbollah and 40,000 rockets and when they pulled out of Gaza they got Hamas and 20,000 rockets.” That’s Clinton speaking to Al-Jazeera, not staunch supporters of Israel. The Washington Times reported on January 12 that the Obama administration is ramping up the war on terror, doubling special operations, doubling the use of unmanned drones, and expanding counter-terrorism operations. And that was all in one week. Let’s look at the past two years: Obama fulfilled his campaign promise to boycott Durban II. Obama renewed sanctions against Syria several times. Obama fully funded the Arrow 3 ballistic missile system and the Iron Dome system. Obama provided more security assistance to Israel than any president in history. Obama maintained the U.S. policy of ambiguity on Israel’s nuclear weapons. Obama told the Arab world in Cairo that America’s bond with Israel is “unbreakable.” Obama re-approved loan guarantees to Israel. Obama pulled out of joint exercises with Turkey after Turkey excluded Israel. Obama repealed import tariffs on Israeli dairy products. Obama restored Israel’s qualitative military edge and took U.S. military cooperation to unprecedented levels after erosion during the Bush administration. This commitment to Israel’s security is not a slogan for us. We live it every day in the policies we carry out. Since taking office, President Obama has taken what was already a strong U.S.-Israel defense relationship, and broadened and deepened it across the board. Our annual military assistance to Israel has increased to nearly $3 billion. We have reinvigorated defense cooperation, including on missile defense, highlighted by the 1,000 U.S. service members who traveled to Israel to participate in the Juniper Cobra military exercises last fall. We have intensive dialogues and exchanges with Israel – in political, military, and intelligence channels – on regional security issues and counter-terrorism, from which we both benefit, and which enable us to coordinate our strategies whenever possible. We have redoubled our efforts to ensure Israel’s Qualitative Military Edge in the region, which has been publicly recognized and appreciated by numerous senior Israeli security officials. And we continue to support the development of Israeli missile defense systems, such as Arrow and David’s Sling, to upgrade Patriot missile defense systems first deployed during the Gulf War, and to work cooperatively with Israel on an advanced radar system to provide early warning of incoming missiles. The ties between our defense establishments are extraordinary. Throughout the U.S. military and the IDF, from Chairman of the Joint Chiefs of Staff Adm. Mike Mullen and IDF Chief of Staff Gabi Ashkenazi, down to generals, colonels, and majors in every branch, personal relationships have been forged, joint work is being done, and a sense of common purpose and shared mission animates the partnership. We take these steps because the threats Israel faces are real, and because many of the same forces threaten us and our interests. Whether it is an Iran bent on acquiring nuclear weapons, Hezbollah acquiring increasingly sophisticated weaponry from Syria, or Hamas smuggling weapons through the tunnels into Gaza, Israelis stand on the front lines, often at great cost, against forces that seek to take the Middle East in a lawless, dangerous, and unstable direction, putting our interests at risk. When President Obama wrote recently that “our alliance with Israel serves our national security interests”, and that “no wedge will be driven between us”, this is what he was talking about. President Obama has also steadfastly defended Israel against attempts to de-legitimize it, whether at the UN or other international bodies, while always standing up for Israel’s right to self-defense against terrorism and other threats. These are commitments that will not change. When it became clear that the Durban II Conference would unfairly and unreasonably single out Israel for criticism, we did not hesitate to pull out of the conference and lead many of our allies to do the same. We have repeatedly and vigorously voted against and spoken out against the Goldstone Report. When Turkey summarily cancelled Israel’s participation in a key military exercise last fall, we did not hesitate for one minute to pull out as well, and we have worked diligently to preserve a positive relationship between Israel and Turkey, which has been an important contributor to security in the region. Dennis Ross provides additional detail here. There’s one thing that Israel’s enemies and Obama’s critics have in common: an unrelenting, almost monomaniacal focus on Israel’s settlement policy. For better or worse, Obama has maintained the same policy on settlements that the United States has maintained since 1967. Unless we’re prepared to label every president since 1967 as unsympathetic to Israel, we should not single out President Obama. Prime Minister Benjamin Netanyahu noted on November 9 that the “disagreements with the US over Jerusalem are well-known. They are not new and have continued for 40 years.” These differences are apparently not well-known to those who would use Israel for partisan purposes to advance the political fortunes of the Republican Party, but those of us who genuinely care about peace in the Middle East and a strong US-Israel relationship should stress that this is and has been American policy, and is not unique to any one president. The Bush administration also publicly opposed settlements and building in Jerusalem. Not only that, but the Bush administration demanded that the ban on settlement growth include “natural growth” in its roadmap for peace. Every Democratic and Republican president since 1967 has failed to move the U.S. embassy to Jerusalem. The Jerusalem Embassy Act of 1995 requires that the U.S. embassy be moved to Jerusalem unless the president signs a waiver every six months, which is just what Presidents Clinton, Bush, and Obama (thus far) have done. Mark Twain said that “a lie can make it half way around the world before the truth puts its pants on.” One cannot help but wonder if some of Obama’s critics have taken it upon themselves to prove it. Space does not permit a refutation of all the falsehoods circulating about Obama, but two that will likely surface again and again are the mythical snub of Netanyahu by Obama at the White House and non-existent statements by Obama that Israel’s legitimacy rests on the Holocaust. The myth of Obama’s snub of Netanyahu was manufactured by those seeking to create a rift between the two leaders. Read more here and here. Obama never referred to 60 years of “occupation,” he never equated suffering during the Holocaust to Palestinian suffering, and he never said that Israel’s legitimacy is grounded in the Holocaust. Read the proof here. Who knows where we’d be today if previous Presidents had had the courage to personally deliver this message on Arab soil. History will deliver the final verdict on Obama once he’s completed his second term. But if the case went to the jury now, the verdict would be clear: Obama is a strong friend of Israel, and he’s proven it in word and deed.